Spiti Tara Adventure is one of Spiti valley's leading adventure travel companies, owned and promoted by local Spitians passionately dedicated to providing a wide range of leisure and outdoor adventure activities exclusively within Trans Himalayan region of Lahaul & Spiti. We are duly registered with Ministry of Tourism, Himachal Pradesh and authorized by the Government of India to operate any tourism activities in the valley. We specialize in organizing outdoor activities such as heritage/ culture and pilgrimage tours, trekking, peak climbing, mountain expedition, and jeep safaris. Each trip for our client is artfully crafted, meticulously organized and delivered with professionalism and enthusiasm. The team is well trained, locally hand- picked and well- educated. We have our own reputation in the local as well as international travel market for our reliability, local knowledge, reasonable prices, professional guides, superb trekking/climbing equipment and long time experience in adventure travel industry. We care for our mountains, its people, culture and its environment. Hospitality is a way of life for us and most of our clients became life long friends after spending time with us. Any booking made with us guarantees trip departures as scheduled and quality service at reasonable price. Born and brought up in the Mudh village of Pin Valley in Spiti, Sonam Tara Gialson runs the operations at Spiti Tara Adventure. With over a decade of experience in organizing treks around the region for both domestic and international clients, Sonam Tara, is a master of trekking in the high altitude regions of Spiti Valley. A proud Spitian, Sonam Tara offers his sharp and perfect knowledge to take care of your adventure journeys and guarantees that you get the maximum fun and safety. As a young Spitian, Sonam used to hike long trails to Bhaba valley in Kinnaur and Parvati valley in Kullu for transporting goods. This made him open an adventure company in Pin valley when tourism arrived in Spiti. A true practicing Buddhist, Sonam treats his guests as his own family and many of his old clients are still good friends with him. When he is not out in the trails, you can find Sonam in his homestay, making sure that his guests are warm and comfortable and fixing things from internet modem to the bathroom plumbing. An superb cook, Sonam will make sure that you are well fed with amazing local food even when you are at 5000 meters. You can say Hi to Sonam by calling him on 0091-94184414539 (Since there is little mobile coverage in Pin valley, he will be not reachable most of the times though). Kunzang plans and organizes treks and accommodation in Spiti Tara Adventure. A local of Pin valley in Spiti, Kamlesh finished his post graduation and Mphil from Shimla University. Kunzang will help you plan your dream journey to Spiti valley with his vast experience about the valley, its people, culture and terrain. 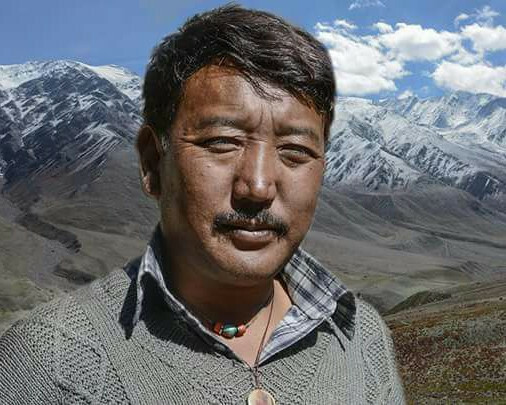 Kunzang is an Assistant Professor in Government college, Karsog. Teaching is his second passion after the mountains. 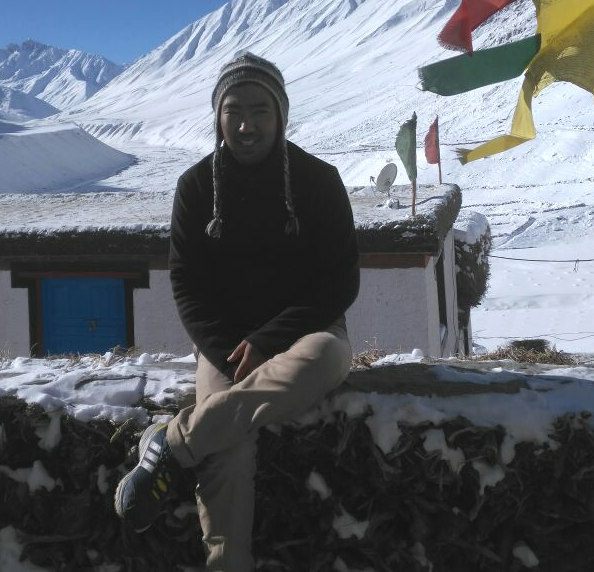 His love towards the valley made him partner with his uncle, Sonam Tara Gialson, to start Spiti Valley Adventure. 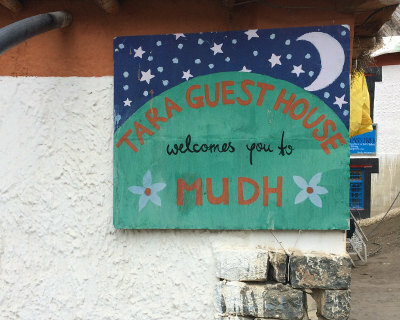 He, along with Sonam, has been welcoming guests to his homestay at Mudh village, organizing treks and helping travelers in the valley. With a strong desire to preserve the valley's traditional culture and customs, Kunzang has conducted several researches and published a book about the valley. Kunzang loves to meet new people and talk about Spiti, its people and the culture.